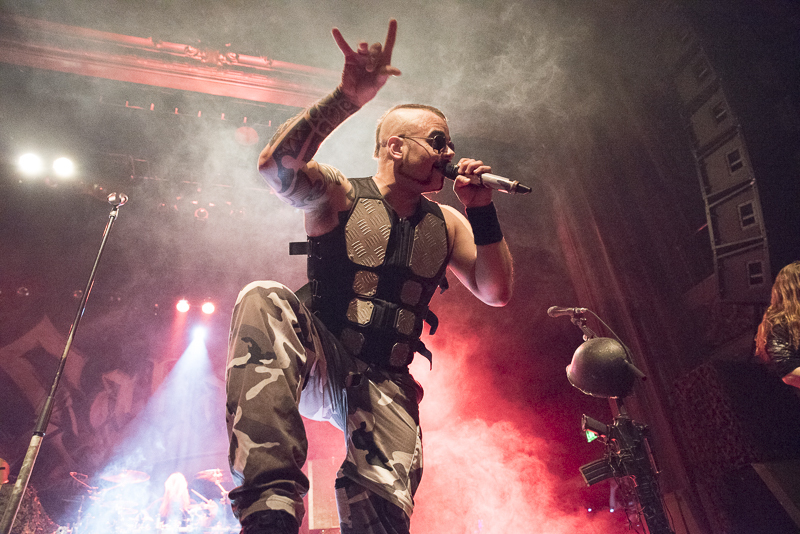 Sabaton brought their high-energy stage show to the Regency Ballroom on a Wednesday night to a rapturous (and nearly sold out) audience. Much to the surprise and astonishment of the band, the crowd gathered for the show was loud and boisterous, singing along to most the band’s setlist. Front man Joakim Brodén remarked on numerous occasions throughout the night just how impressed he was with the passion coming from the audience, considering that this was not only their first headlining show in the Bay Area in quite a while, but also that this crowd turned up on a weeknight to see them play. 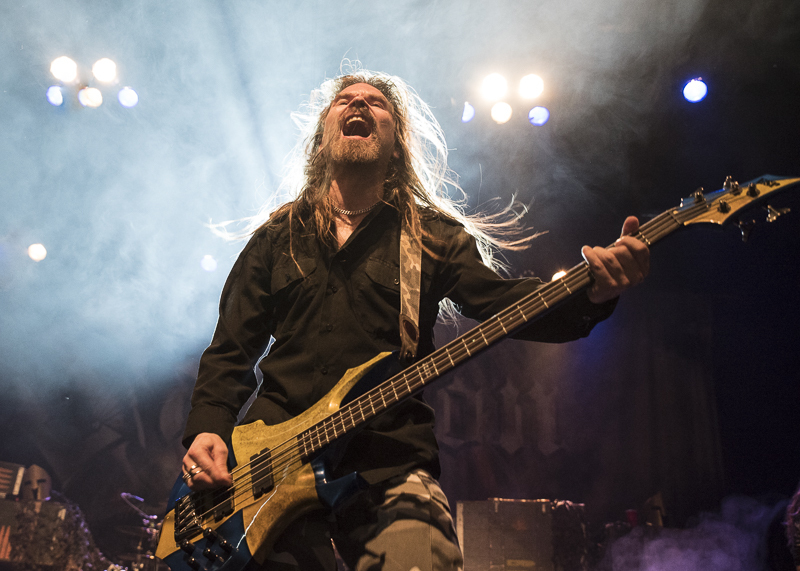 Sabaton’s specialty lies in crafting epic power metal with a lyrical basis in military history, making for one effective and overpowering sonic cocktail. From the opening track “Ghost Division,” to the blistering closer “To Hell and Back,” Sabaton demonstrated that they are stronger than ever with the recent lineup additions: the roaring guitar tag-team of Chris Rörland and Tommy Johansson gave these songs plenty of muscle, while Hannes van Dahl kept a tight and furious beat behind the drum kit. What stood out the most during the set were the powerful backing vocals delivered by Rörland, Johansson and bassist Pär Sundström, which made already anthemic songs sound even better. Throw in a thousand screaming fans and songs such as “Attero Dominatus” and “Sparta” became magical. The biggest surprise came half-way through the show when Brodén asked the audience if they would rather hear the next song in English or Swedish with the latter winning out thanks to an avalanche of crowd noise. The following song, “A Lifetime of War,” despite being sung in Swedish, had one of the largest crowd responses of the night, a seemingly improbable event since the album (Carolus Rex) was originally released in English. Following this, Brodén dawned a guitar to perform the crushing “Resist and Bite,” a furious maelstrom of epic metal guitar and soaring vocals. A few songs later the audience was asked what song they wanted to hear next, a move that is typically scripted as bands tend to adhere to a predetermined setlist. However, this was not the case this time as the crowd demanded that Sabaton play the song “Swedish Pagans.” Brodén looked puzzled and told the fans that they would not be playing that song, just as Johansson started playing the opening guitar lick. A few moments later he stopped as Brodén again addressed the audience, saying that they would still not be playing the song. At the same time, Johansson picked up the setlist and ripped it up, signifying that they would indeed play the song. This elicited the loudest crowd response of the night, with everyone chanting along to the tune’s surging chorus. 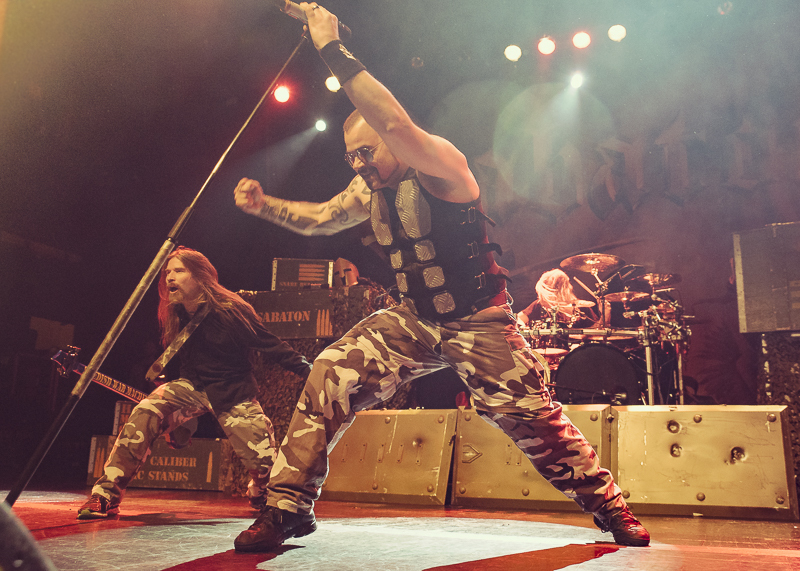 It was an electric moment in a night filled with them, showing that Sabaton are now one of the primer power metal bands out there today, and a live unit that can deliver plenty of pounding metal on any given night. 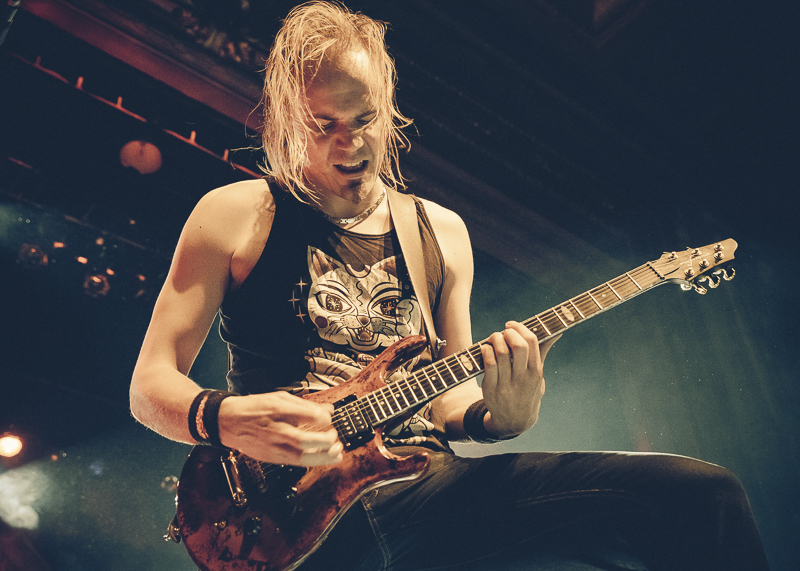 Supporting act Battle Beast brought their first state-side show on tour this Spring. 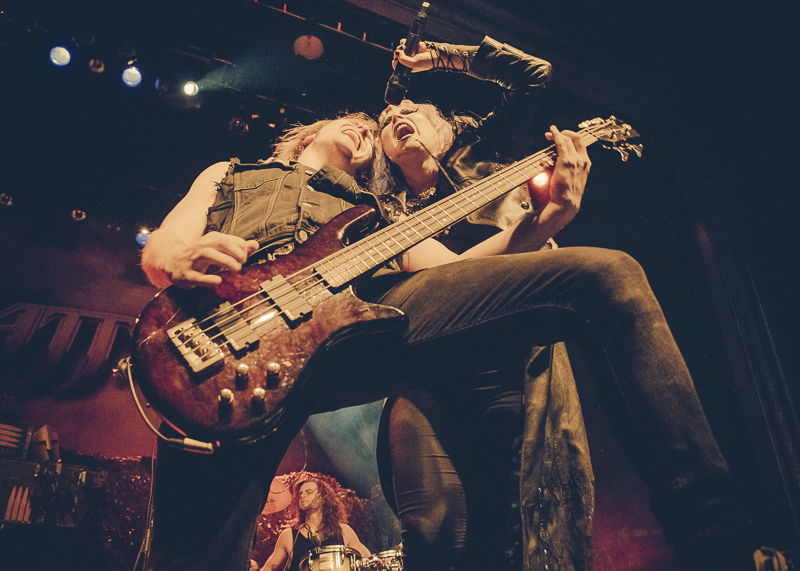 A fist throwing, symphonic metal which harkens to the early days of heavy metal, while keeping their tight synth-pop style Symphonic Metal style in tact. 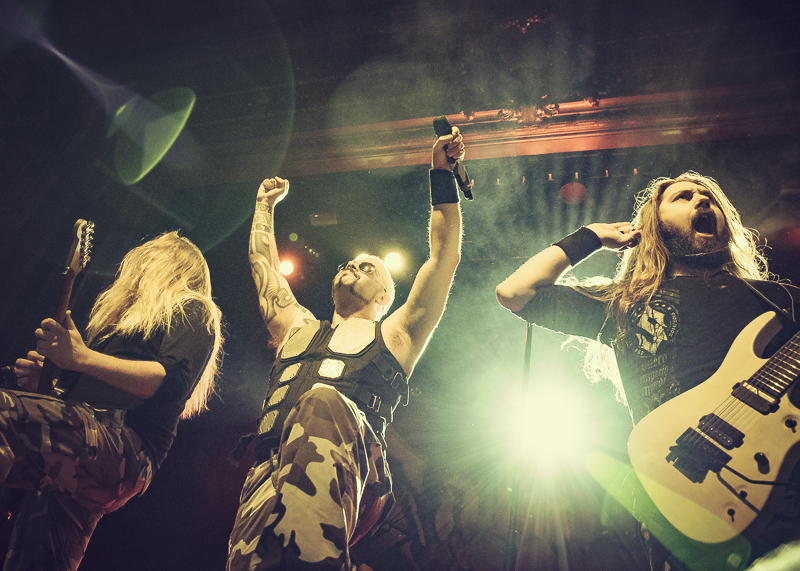 Hailing from Helsinki, Finland, accolade-winning power metal group Battle Beast served up a plate of their female-fronted post-apocalyptic onslaught to extremely enthusiastic fans. 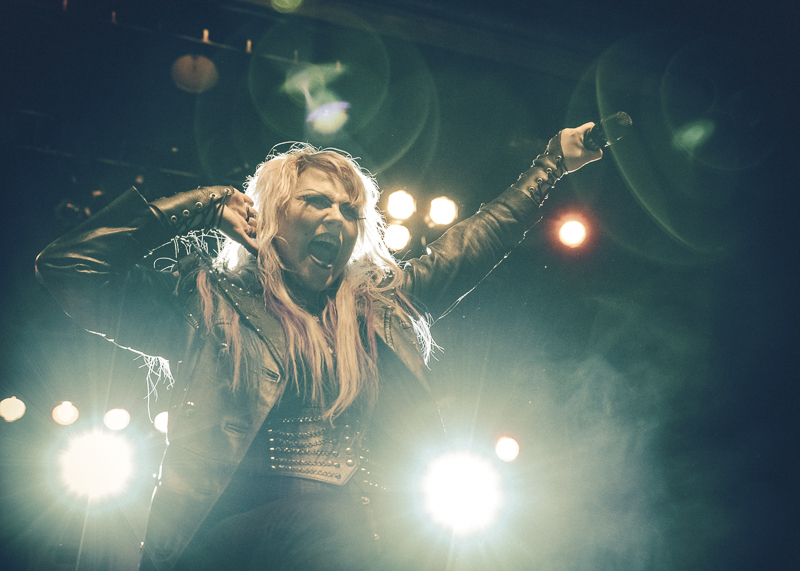 Battle Beast’s vocalist, Noora Louhimo, has the incredible range of metal icon Ronnie James Dio and the raw/ aggressive style of the in-your-face rock ‘n’ roll diva, Joan Jett. Her live vocals on the song “King for a Day” are creepily reminiscent of metal legend Blackie Lawless combined with Ann Wilson of Heart. The rest of the musicians were extremely well rehearsed and charismatic, and as different as it was to see a keyboardist playing from around his neck, it certainly didn’t take away from the performance. With a newly released (February 2017) chart topping album in Finland and in Germany, Battle Beast’s Bringer of Pain promises to bring this band new opportunities in the US market and beyond. 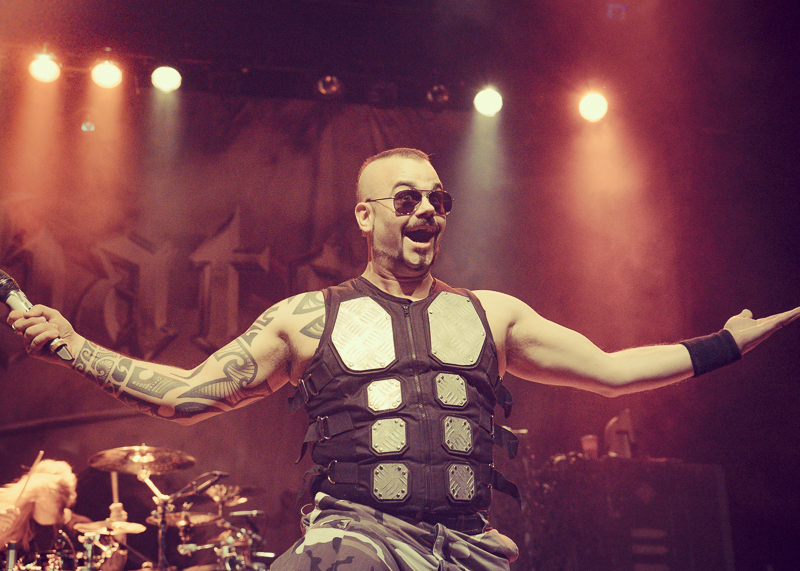 For more information about Sabaton, check out their website. Find out more about Battle Beast here. Review segment of Battle Beast by Pollen Heath.